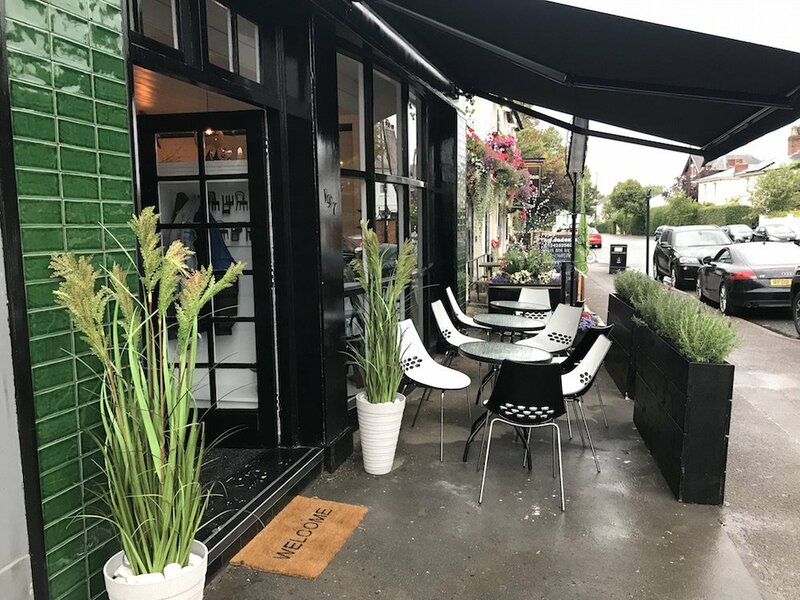 We at Muddy are lucky enough to have snooped out the friendliest little restaurant just a stone’s throw from the centre of Cheltenham, offering the freshest of fresh food in a seriously super-cool gaff. 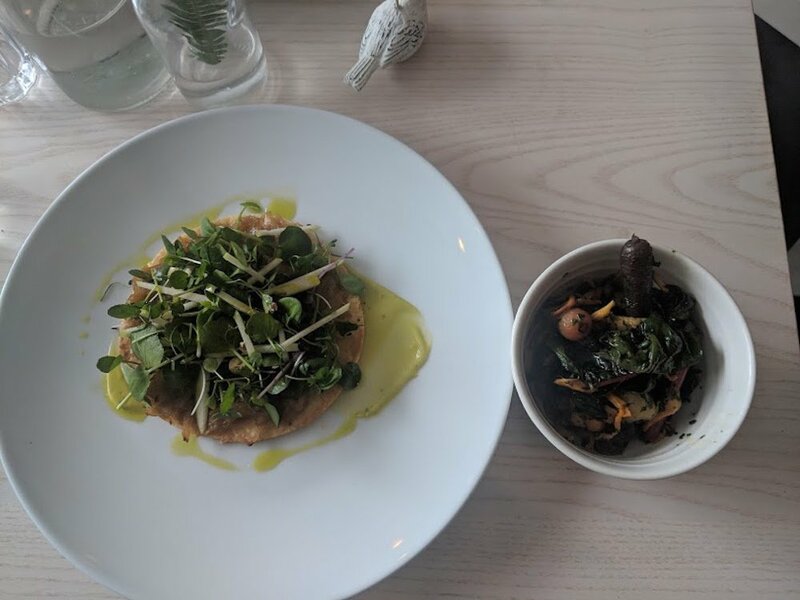 Since opening a few months ago, The Looking Glass has quickly become part of the local community, with food sourced locally as much as possible, and some even foraged from orchards and woods quite literally up the road. We reckon it’s the perfect place for lunch with the girls or even a date night. It’s high-end, high-quality food at a decent price. Head down London Road, a charming, bustling street in Charlton Kings just outside of the centre of Cheltenham, and you’ll find it nestled in a row of boutique shops. Snore alert – there is a free car park directly opposite the restaurant, but that’s pretty amazing in the heart of Cheltenham so I just had to tell you about it. The décor is very snazzy. The Alice in Wonderland and Looking Glass theme is tastefully done with quirky hints of it all around the restaurant but not overdone. The walls are cladded with mirrors and trinkets, and even the loos were a small whimsical oasis. 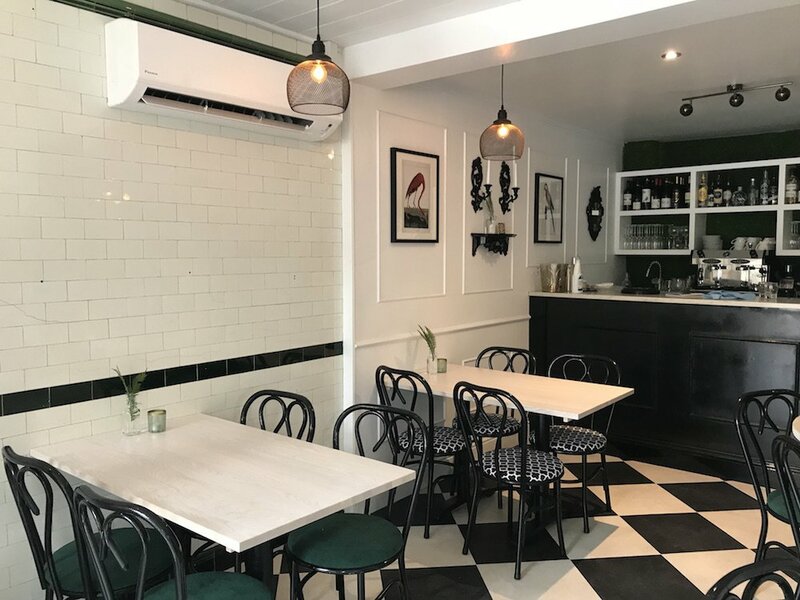 Previously an old-fashioned butchers, the interior still has original tiled walls and meat hooks which adds an authentic edge to the place. The whole vibe is very relaxed and friendly and every member of staff I spoke to was so enthusiastic about the whole ethos of The Looking Glass. The food here is the definition of fresh. 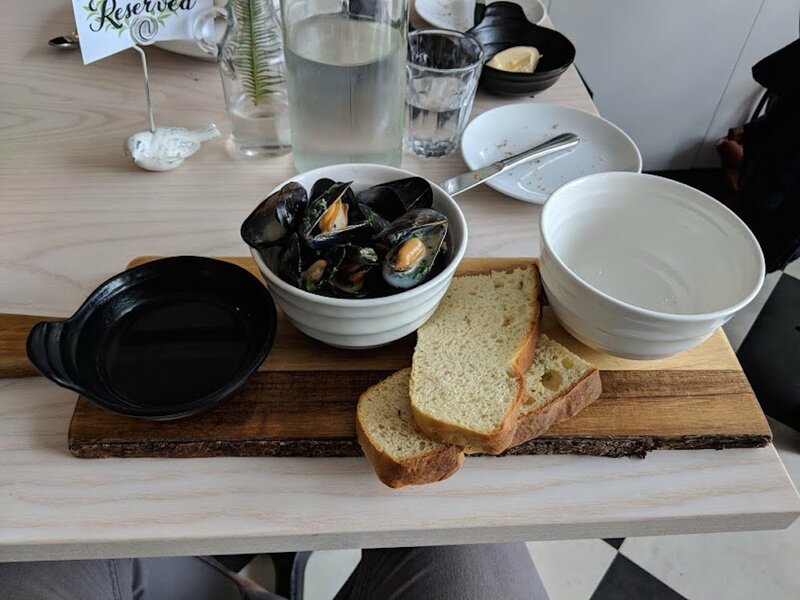 Everything on the menu is sourced from local farms, orchards, and allotments, and the scallops served during my lunch date were caught that morning. All the food is very much a modern take on traditional English ingredients and everything was delish. From my appetiser, a selection of flavourful, homemade balls of bread which were so good we had to diplomatically cut them all in half to avoid squabbling over who got the last one, to my starter of seasonal vegetable soup which was the most aromatic soup I have ever had. I followed this with a decadent looking vegan onion tart, flaky pastry topped with caramelised onions and an array of fresh salad. 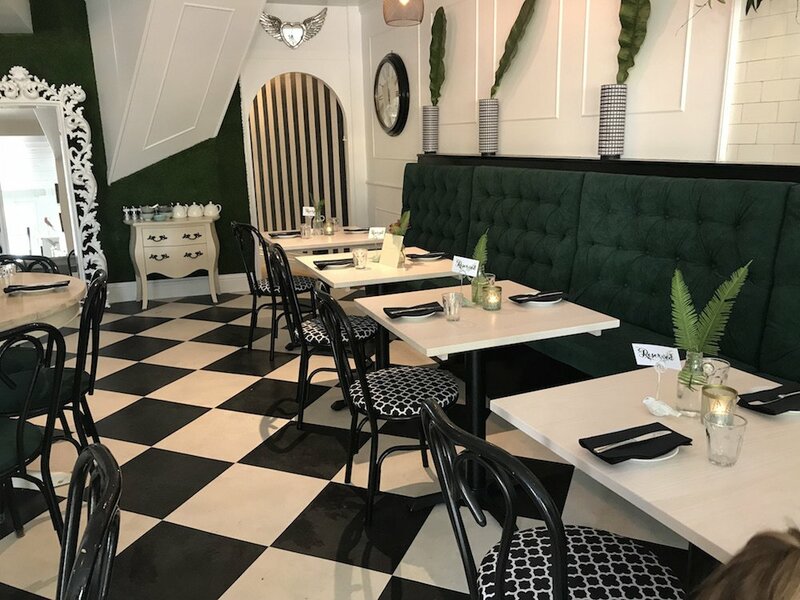 Speaking of vegan, they’ve got you covered – gluten-free, dairy-free and if you have any allergies or preferences, all the dishes on the menu are adaptable to your dietary needs. The presentation of all our meals was also on point. All in all, very Instagram-worthy. 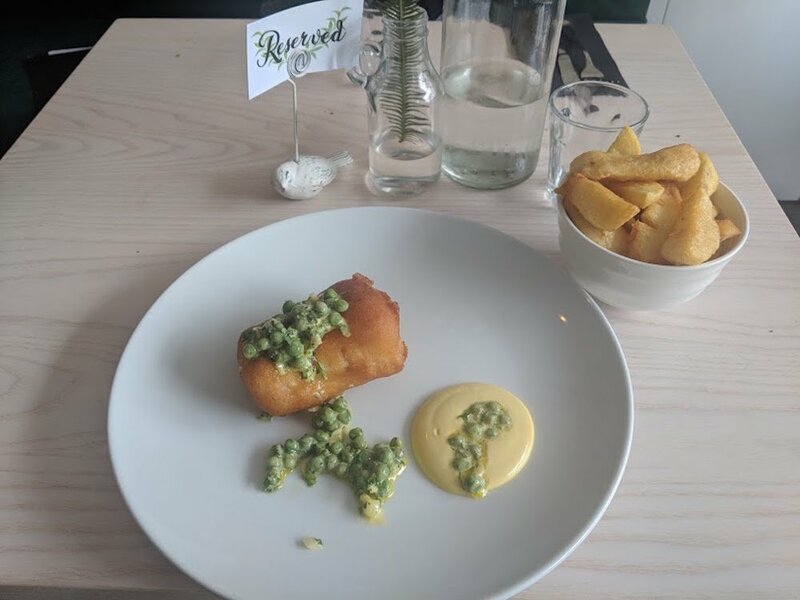 The Looking Glass offers a compact kids menu with all the little one’s favourites like chicken goujons, homemade pizza and fish and chips. Or they can choose any main menu dish and it’ll be halved for small stomachs. The space itself may be a little tight for an extra-large brood – there is some outdoor seatin, but it is quite close to a busy road. So, do feel free to bring the kiddies but maybe not the whole football team or brownies brigade. You are minutes away from Cheltenham Town centre, a short drive will lead you to the delights of some Cheltonian shopping and tons of culture. The wonderful Pittville Park nearby which is super family-friendly, with duck ponds, cafés, a big play park and beautiful open spaces – the perfect place to walk off an indulgent lunch. If you want to lie down in the dark afterwards, the Everyman in Cheltenham always has cracking shows for the whole family. Good for: Real foodies! It’s the perfect place for a foodie couple or family to explore a unique menu and a must if you have a discerning palate and enjoy high-end food without a formal stuffy atmosphere or steep price tag. It’s also a great choice if you’re due a catch up with pals, or just for a working lunch. Not for: A big family tribe. Table space is intimate, and the restaurant is on the petite size. Nor is this the place if you are looking for a greasy spoon or some rustic pub grub – this is far fancier stuff. The Damage: Good value for money I’d say – the food served here wouldn’t be out of place in a fancy London joint. 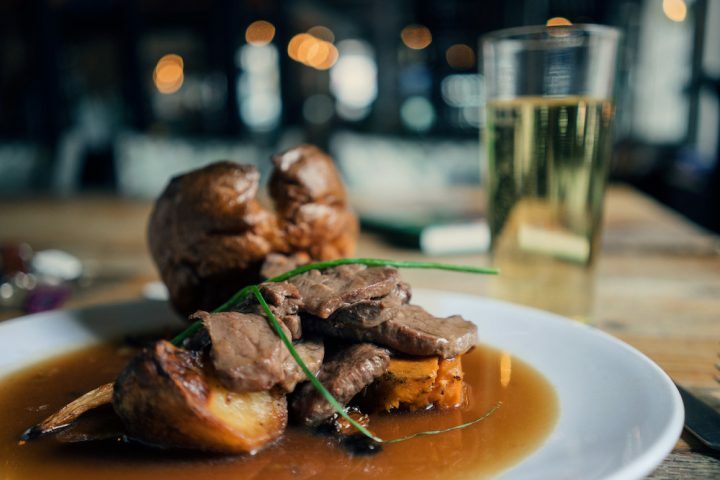 The set lunch menu is priced at one course for £9, two courses for £12, and three courses for £15. The dinner menu ranges from a £9 onion tart to a £26 venison loin.